You're not really drinking unless you're drinking from a glittered chalice or a manly mug with your name (or a fish!) on it. What is this sorcery? I must have it! 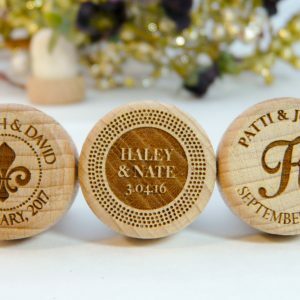 Don't break your wedding favor budget on Etsy personalized wine stoppers when you can get premium engraved wood wine corks here for less. Guaranteed! Say "I do" to your $2.25 wedding favors! Don’t miss some of our customer favorites! Lazerworx Design Studio is located near Wichita, KS and we ship worldwide. We are your affordable source for custom laser engraving and one-of-a-kind personalized gifts. On-demand laser engraving and laser cutting – We laser cut and laser engrave a wide variety of materials. Our maximum engraved item size is 17″ x 29″ x 8.5″. Engraving area is 24″ x 12″. 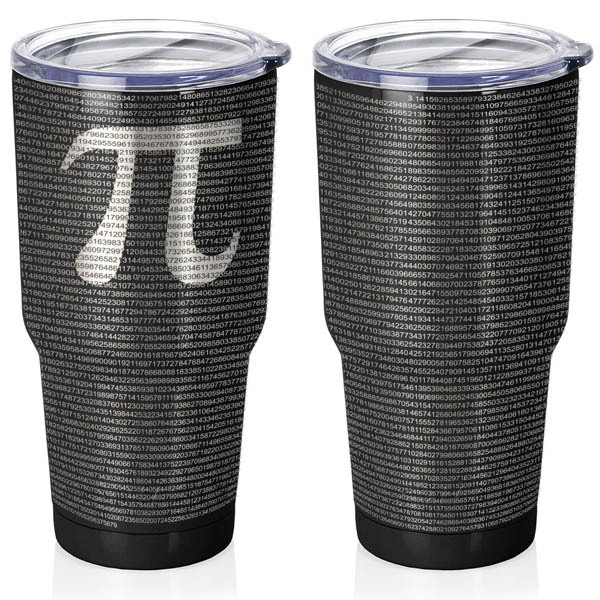 If you already have a stainless tumbler (or other engravable item, you can send it/drop it off for personalization. Graphic design services – Our graphic designer has more than 20 years’ experience. We create laser-ready files for other laser cutting companies, and we offer custom graphic design services to all customers. Tweaking one of our existing designs is always FREE, and asking us to create a completely custom design is more affordable than you think. Our $10 graphic creation fee is waived for orders of $50 or more. For special orders requiring extensive design time, we offer an affordable hourly T&M rate. Commercial and industrial engraving – Our website might not show it, but we love our industrial customers too! We’re currently creating an online ordering tool just for you! We offer electrical control panel legends, i.d. plates, push button legend plates, lamacoids, HMI overlays, name plates and custom engraved legend plates, Until our design tool is ready, we accept orders by phone, email, or online file submission. Lead time for standard colors is 1-2 days. Lead time for special-order colors or very large orders is 5-10 days. 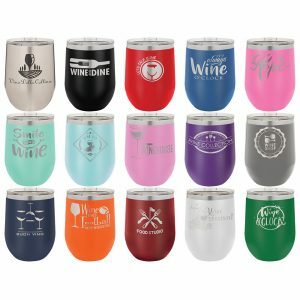 NOW OFFERING POWDER COATING – Our customers have been asking for some color in their YETI, Ozark Trail, RTIC, Polar Camel and other brand tumblers, so we’ve responded! 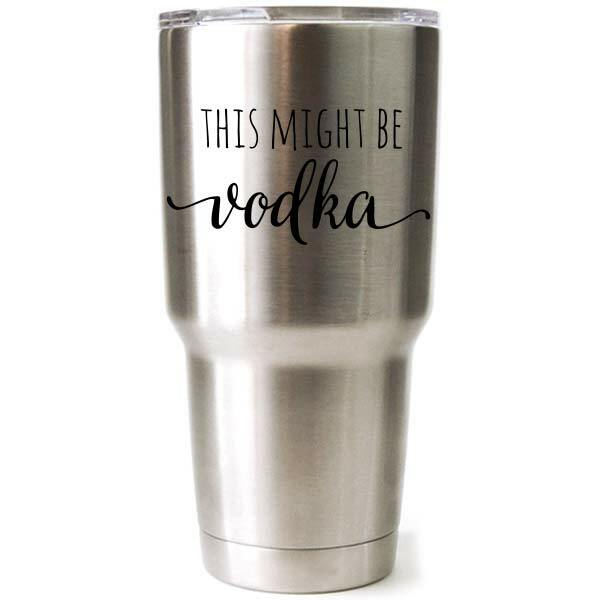 We are hoping to update the offerings soon, but for now, please check out our drinkware laser engraving and powder coating information sheet! You may not see all of the personalized laser engraved products we have listed on Pinterest, Facebook, or Instagram. But we still offer them! Until we get everything set up, you can always message us to place an order if you don’t find what you’re looking for here!